The alliance will announce the name of its candidate for the 40th constituency soon. The National Democratic Alliance on Saturday named its candidates for 39 out of the 40 Lok Sabha constituencies in Bihar for the upcoming elections. Bharatiya Janata Party leader Shatrughan Sinha, who is often critical of his party, did not find a place, and Union minister Ravi Shankar Prasad was named from Sinha’s Patna Sahib constituency. The list was announced by Bhupendra Yadav, who is in charge of Bihar for the BJP. The candidate for the Khagaria constituency, which is in the Lok Janshakti Party’s quota, will be announced in a few days, he said. The alliance had announced its seat-sharing arrangement in December. 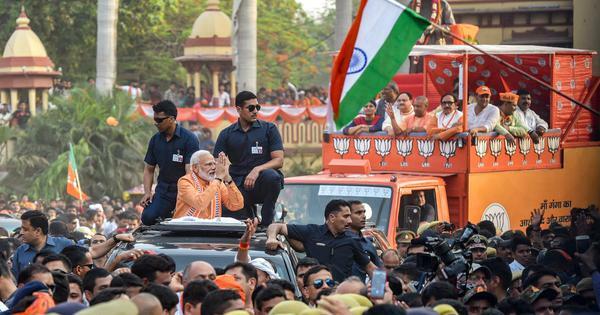 The BJP and the Janata Dal (United), which are allies in the ruling coalition in Bihar, had decided to contest the Lok Sabha polls in 17 constituencies each. Union minister Ram Vilas Paswan’s Lok Janshakti Party was allocated six seats. Paswan’s son Chirag Paswan will contest the election from Jamui, Union minister Radha Mohan Singh of the BJP from East Champaran, Rajiv Pratap Rudy from his Saran constituency and Giriraj Singh from Begusarai. Giriraj Singh currently represents Nawada. On Friday, the Congress and the Rashtriya Janata Dal had announced their seat-sharing agreement in the state.